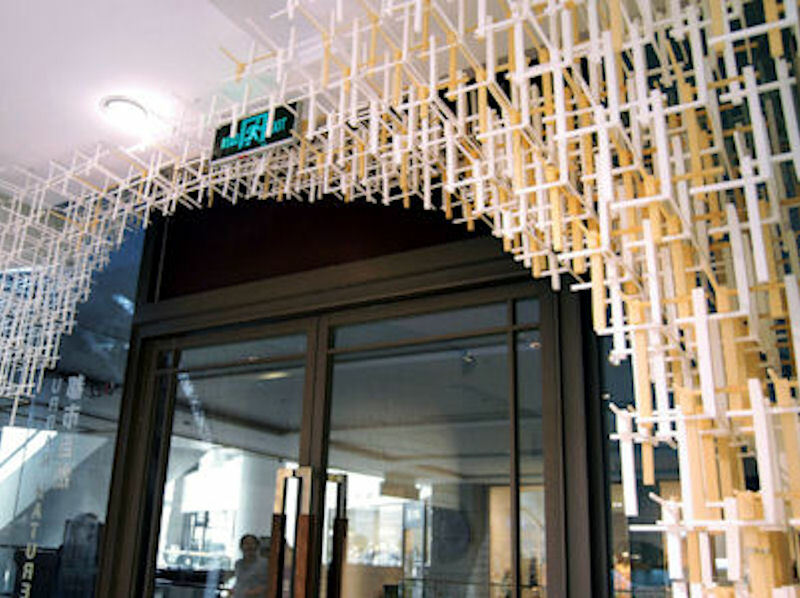 The installation is part of the RIBA Windows project currently on display in the Xintiandi district of Shanghai. The installation titled 'Urban Nature', has been designed by Urban Systems Office as an interpretation of urban structures responding to dynamic environments similar to natural ecologies. 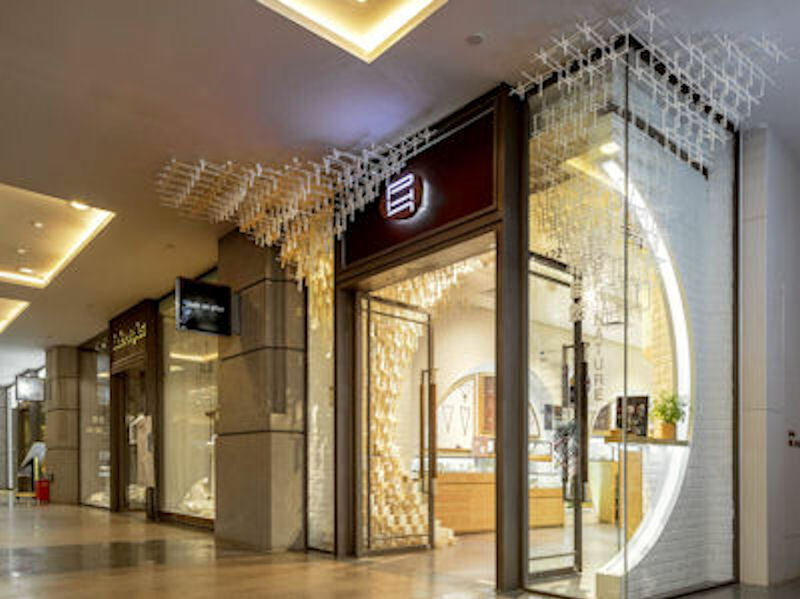 Its shape and material system is informed by the circulation and viewing opportunities around the site, the entrance of the PH7 store at the Xintiandi Style mall. The piece is intended to be read as an aggregate of architectural elements, visually resembling a building structure or high-density urban area that grows and adapts in relation to the economical and cultural forces of everyday life. This follows the designers' interpretation of contemporary cities as living, growing and evolving ecologies, incorporating complexity and variation within the design to create adapting structural and spatial qualities. The installation is fabricated using low-cost and 3D-printing technologies, using a bio-degradable plastic made from corn starch. It was designed through a customised digital design process, which allowed to calibrate more and more detailed versions of the design in relation to the limited site, budget and construction time. The internal variations are achieved through a small number of families of different components, limiting the range of component types and reducing the complexity of the assembly process. 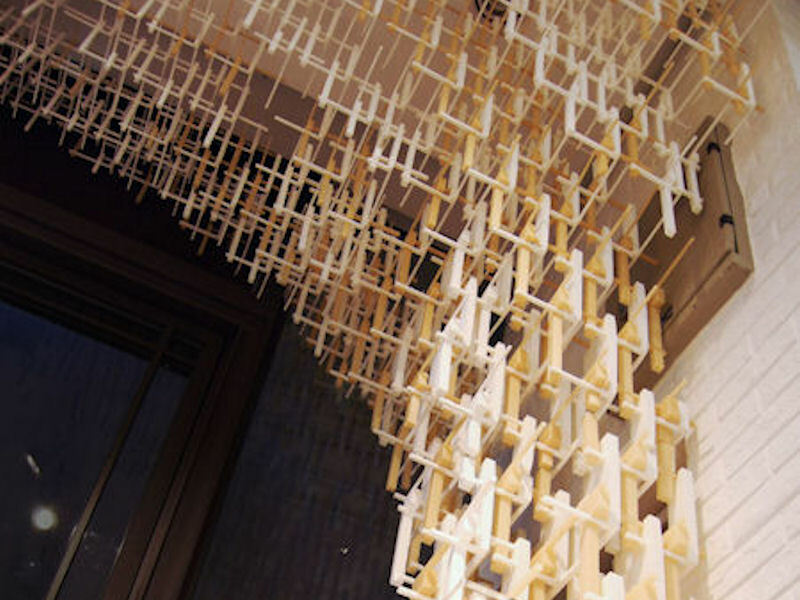 A manual for the assembly of the installation was produced by the same digital design process, documenting the precise sequence of the construction stage which had to be completed in just two nights and two days. Blending aspects of jewellery design, product design and architecture, 'urban nature' is an exploration of new principles of design and fabrication. 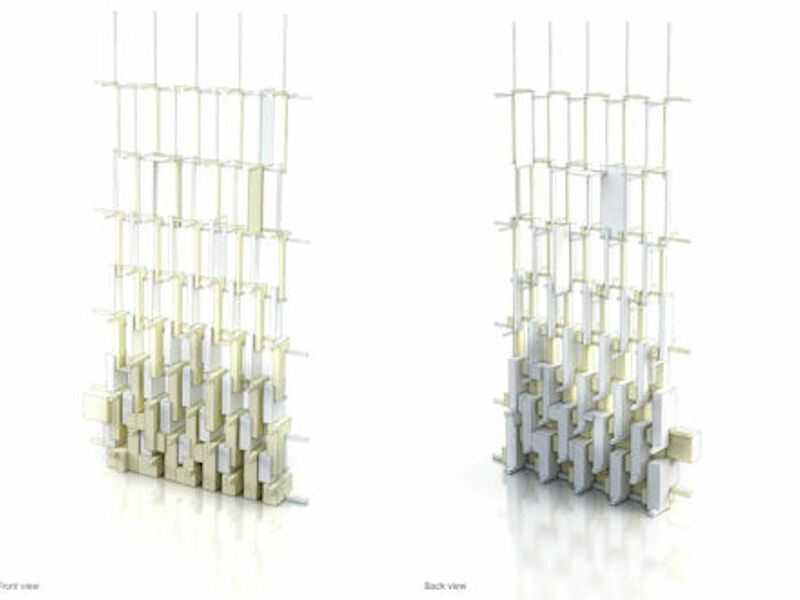 Its geometries are designed around the limitations of the 3D printing equipment, similar to how buildings can be designed in a bottom-up fashion from the particularities of their materials. 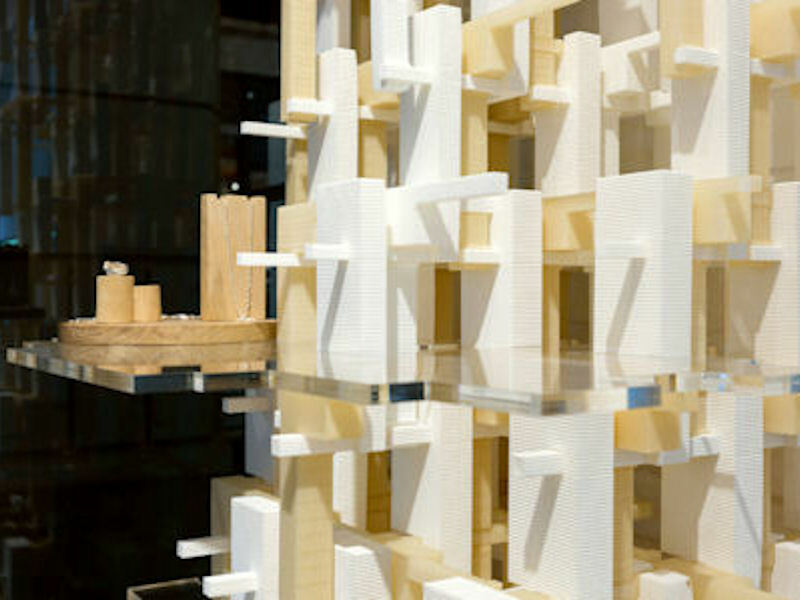 Using a custom-designed kit of parts to create effects operating at various scales, the piece demonstrates intricate visual qualities and acts as a microcosm of our built environment.